Turkey Wraps - A great alternative to your usual wraps. No bloating, easier to digest and a great party platter! Sweet Potato Chips - If there is one thing I crave, it's potato chips (crisps). Of course, they're not the best for you and contain lots of artificial flavouring. I came up with these by accident and surprisingly, taste amazing! Tip: The thinner you slice, the crispier they will be. Baked Mushroom - Again, I came up with this when cooking for Tommy. Tommy loves these mushrooms and whilst I cooked one for myself, I was thinking of how to make it less.... boring. Thats when I decided to add bits and bobs here and there and the outcome was so YUMMY! If you make a few more, it can be dinner or lunch! 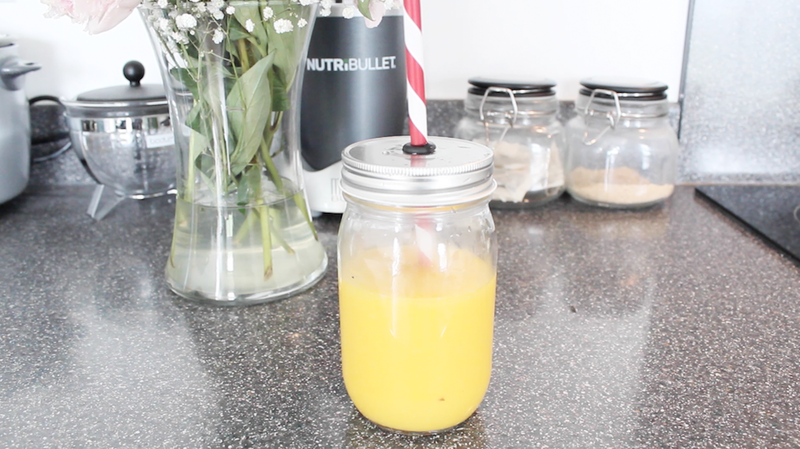 Pineapple, Mango and Banana Smoothie - For the hot summer, this is perfect! I had some fruit in my fridge so decided to make this concoction. I used coconut water instead of milk or water to add extra flavour and it's SO GOOD! Great for a quick morning breakfast or when you don't really have time to make proper food. Let me know if you end up trying any of these. watch this video last night! Heyy , I'm a new blogger :) and since I can't see the video in my country, can you tell me the recipe for the sweet potato crisps? Please!!! Thankyou!!!! These look simple but cool! Yum! My colleague told me about M&S sweet potato crisps that are new and I am addicted to them but the only thing is it contains so much salt! Making your own would definitely be better. Definitely going to try the sweet potato crisps! Jessica : Find your indian partner online Browse girls's of latest pics. Sonia: It is about free girls dating 100% free to contact other me at all times. I love mushroom a lot and would definitely try this baked mushroom recipe, looks interesting. Thanks for posting this information. www.recipeslearn.com/easy-rasmalai-recipe-homemade I find it very interesting and informative. I can't wait to read lots of your posts.keep it up.